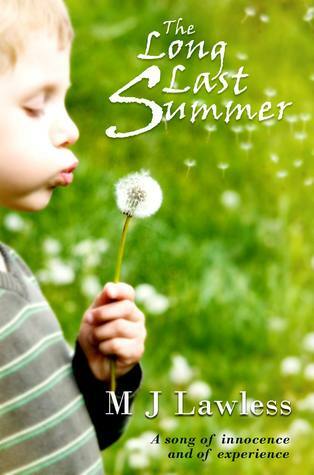 For even the longest summer must come to an end. At the beginning of the long, hot summer of 1976, two young boys—Jake and Mark—are riding out into the fields that lie beyond the small mining town which is all they have known for their brief lives. The eldest of the two, Jake, wishes to show his brother something of the innocent pleasure that he has begun to discover in the wider world. For their young mother, Kitty, such pleasures are tinged with the bitterest experience that for one of them this may be the last summer that he will ever know. As doctors struggle to combat the disease that also took Jake and Mark’s father, so Kitty struggles as a single woman to raise her children in a provincial town where the close embrace of a community also represses all her desires to better herself. For Doctor Reuben Heppner, the struggle to cure a young boy is a means to leave behind the messy chaos of his own divorce and redeem himself, but with Kitty Donahue he also starts to believe that her happiness will be the key to both their salvation. And yet as the summer burns on so tempers and desires begin to blaze with a heat that threatens to destroy everything. This book is difficult for me to review because its not the normal type of book I read. I usually read romance stories and whilst this book has a romance element to it, it's ultimately about a family dealing with an illness of a small child and the effects on his brother/family. The story is told from four points of view - Mark, the young boy with the illness, Jake, his older brother, Kitty, their mother (their father having died two years previous of the same illness) and Reuben, the doctor looking after Mark. Mark is such a sweet young boy who never seems to complain about his illness, but unfortunately is treated differently at school, bullied in fact. Jake tries to protect his brother, but he feels he gets more attention from Kitty because of his illness, and that this means Kitty must love Mark more. This makes Jake sometimes struggle with his feelings between resentment and then guilt, but ultimately he loves his brother, is scared for him and will be there for him. Reuben, whilst trying to care for Mark, is distracted by Kitty, he looks forward to her visits to the hospital with Mark and wants to pursue a more personal relationship with her. He struggles with balancing his pursuit with caring for Mark. Kitty is having to deal with Marks illness, Jake acting out, her feelings of loneliness - missing her husband Joe and her new feelings for Rueben. Then there is her family's opinion of Rueben and their dislike for her relationship with him. Kitty's family are catholic and their faith played a big part of this story, but for me it was a tad too religious at times. MJ's writing style is very different to what I am used to and as a consequence it took me a while to get into the story. The first half of the book was a little slow, but it was getting us to learn of the past and getting to know the characters and their current situations, although there was a scene or two in this first half that I felt didn't really add to the story. The second half of the book for me flowed much more easily and seemed paced better. I found myself really wanting to read it to discover the fate of the characters and I couldn't put it down. It is a sad story so difficult to read at times, but it felt very real with the feelings the characters had - particularly Jake - and the way all the characters dealt with things. Having read other books by MJ, I felt her writing had stepped up in this book and I felt it easier to connect to these characters than I did in the previous books I've read by her. The ending - my initial thought was that I wanted an Epilogue, but then I realised that that was because it was what I was used to and in fact the reason I wanted an epilogue was for answers that could be found in the final chapter anyway. I realised that actually without an epilogue I found that the story - Jake's story, had much more of an impact. Certainly a different book and one out of my comfort zone, but an interesting read which I enjoyed.